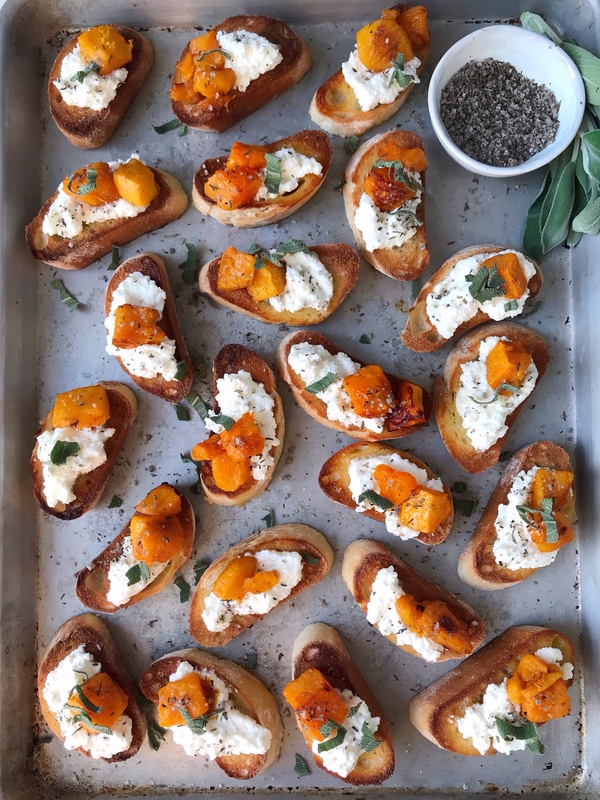 Arrange butternut squash on a rimmed baking sheet and roast for 50-60 minutes, until cooked through and the edges start to caramelize. 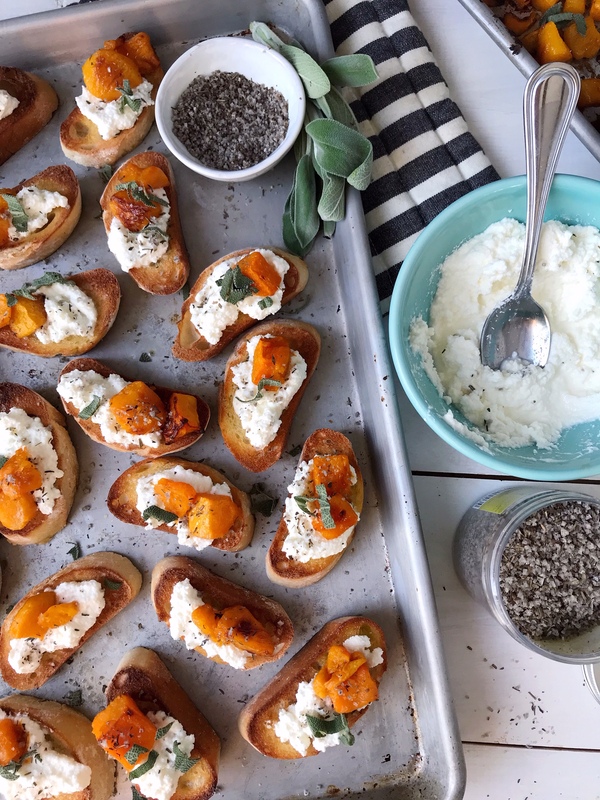 Remove the cooked butternut squash from the oven and turn the broiler on. Slice the baguette into ¾” thick pieces and arrange on a baking sheet. 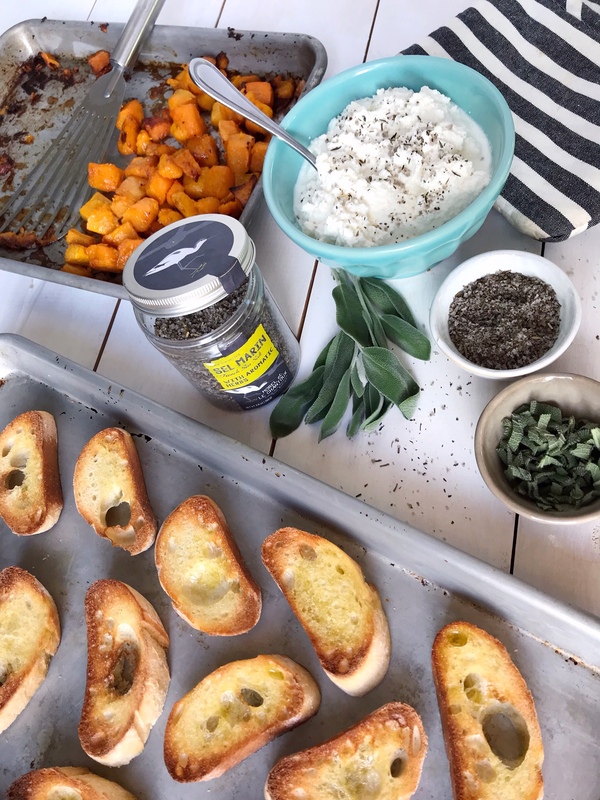 Lightly drizzle the bread with olive oil and place under the broiler for 1-2 minutes until toasted to a golden brown color. 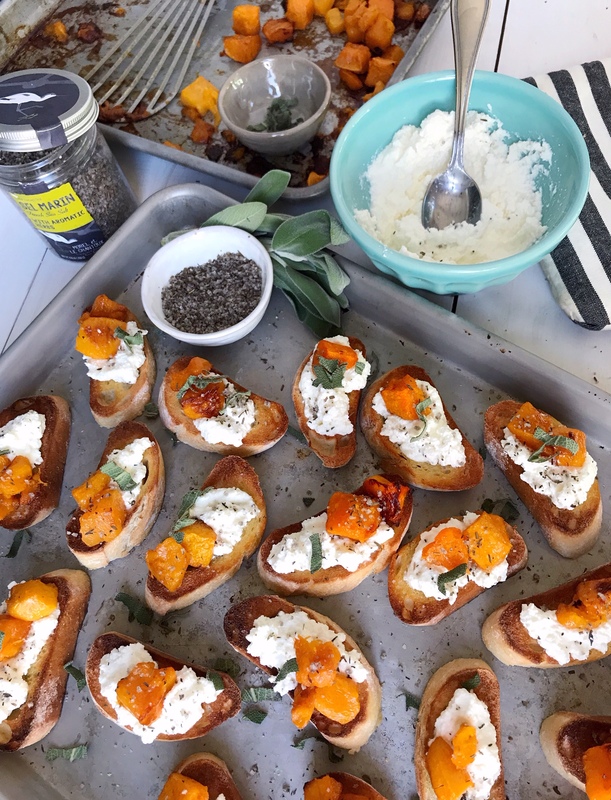 While the toasts are still warm, spread a spoonful of ricotta cheese on each pieces and top with a few pieces of the roasted butternut squash, and bits of torn sage leaves. 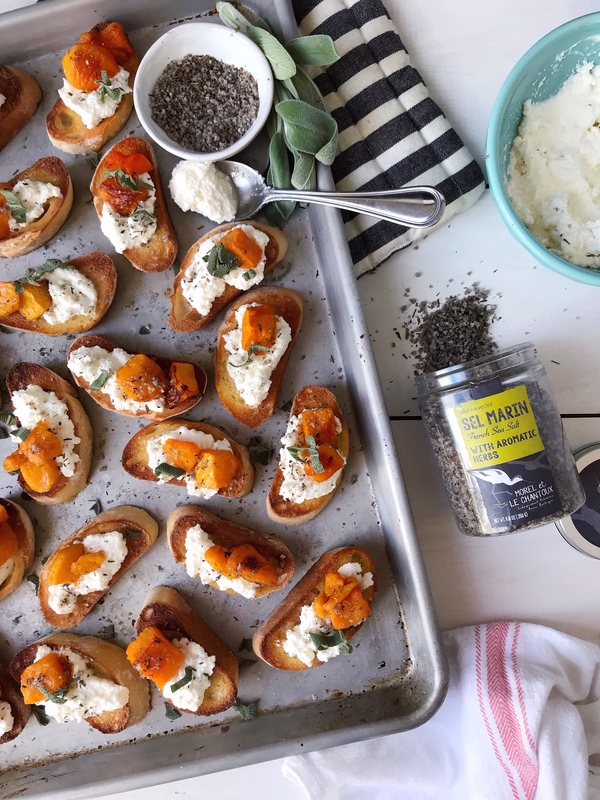 Finish each crostini with a sprinkle of sea salt with herbs and serve immediately. 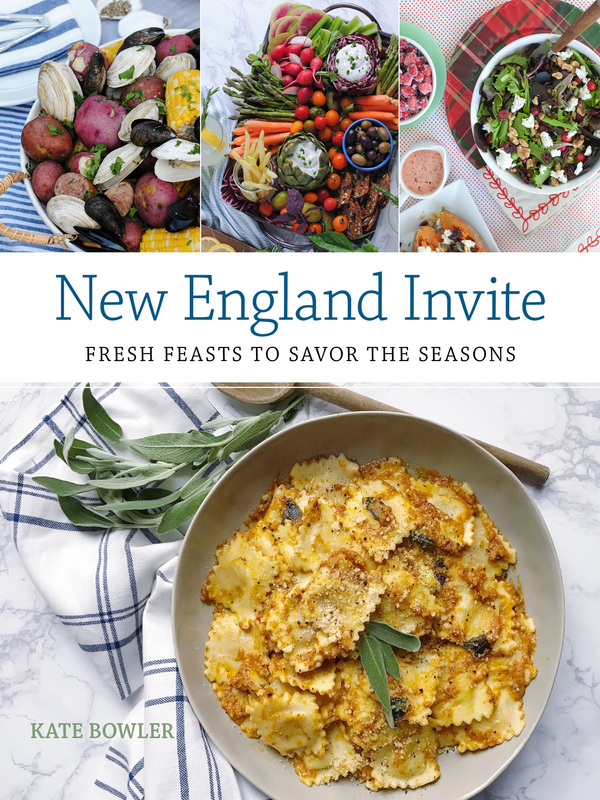 A Rustic Holiday Tablescape. Apple Cheddar Hand Pies and Spiced Caramel Whipped Cream.